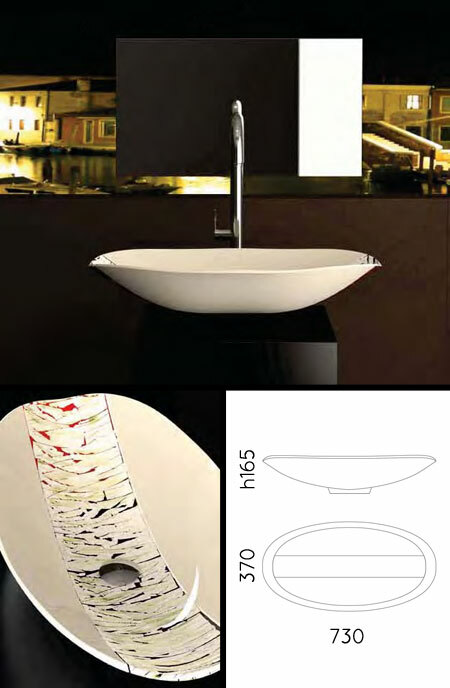 A definite feature glass basin in white with a unique contemporary design fused within the glass. This luxury glass basin has low contemporary styling and is designed for counter top installation. All glass sinks are made to order please allow 3 to 4 weeks for the delivery. Sinks also include the basin waste. * Feature oval glass sink. * Ideal for contemporary bathrooms.